A good knife is so important when cooking steak Mr K had to prepare the steak by trimming it down to make it leaner and as we didn't have a meat tenderiser so he had to go rouge with a rolling pin to make the meat more tender. That way when coated and chicken fried it ensures that it cooks throughout. That job would have been easier with the right utensil but luckily that is a tool that can be improvised. With steak there is no getting around a good knife especially for how he next served it. 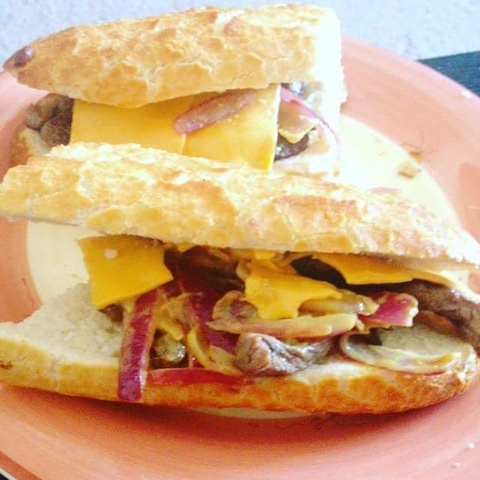 Yes, that delicious sandwich you are looking at is a Phillie cheese steak sandwich with mustard grilled onions, Steak can be a beast to cut sometimes so a good knife is essential in any kitchen. We made sure we invested in a good one and even when a decent knife gets blunt you can sharpen it with ease and it will last you for years. Carlson Knives have an amazing selection of knives and sharpeners for all your cooking needs, If you are more adventurous and like the outdoors they also have a wide range of survival knives get ready for that zombie apocalypse. Good knives are so important. We invested in a good set at Christmas. This was clever! What a great title! Yep, I expected something Crocodile Dundee but found a decent review instead! (Hope you don't mind but there's a typo in your link. Kinves). A good knife can make such a difference! I really need a new set, definitely something that's worth investing in. I use so many different knives for all sorts. I don't know how some house hold get away with only having 3 different sorts! A good knife is always a must!! Nothing worst than trying to cut something and the knife is rubbish! Good knives do make things easier in the kitchen. We like to cook at least 5 nights a week. Great post. 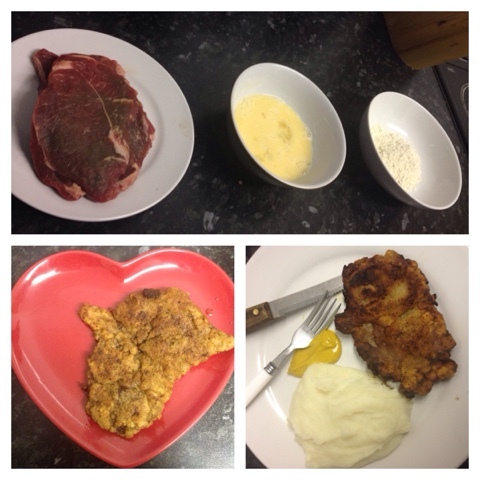 I havn't been cooking much to be honest. That looks pretty delicious! We have a set of Global knives and some Joseph Joseph ones - both are fabulous. I've seen a new roller knife recently, so you don't have to 'chop' you just glide, it looks pretty nifty! It is always important to have the right knife no matter what you are chopping. Looks like you had a great sarnie! My knives at the place I'm renting at the moment are so blunt and it makes it so difficult to cook! First thing I'm going to do when I get my own place is a get a nice shiny knife rack with sharp knives! I like the Magic Knife. It's amazing. I've not tried these ones before. I still use my russum and sons knives from college over 15 years old, aswell as James Martins Stella knives.